Tone Ghost Ether returns to Earth Mantra! This time with Guard Lock Skin, a mind blowing disc chock full of sleek improvised progressive electronic world fusion goodness. Yes, you read that right: we said improvised. Tone Ghost Ether is, in fact, a three way improvisational collaboration between Kit Watkins, Brad Allen, and John Tlusty, where all the music was invented, composed and performed live in real time, with nearly miraculous results. In this particular album, the three artists pursued a totally unique fusion between world, ambient, and electronic traditions, resulting in a truly exceptional collection of songs unlike anything you've ever heard before. Employing such elements as gamelan, hand percussion, synthesizers, tam tam, keyboards, guitar, and Kit's beautiful EWI (electronic wind instrument), this is music that literally takes you on a trip, this time to exotic destinations around the world (with occasional stops on Mars and the Moon). But despite all the diverse instrumentation, the music is exceptionally approachable. And despite the sheer breadth of different kinds of sounds used simultaneously, the various parts blend as if made to go together, as if gamelan and wood flute was always intended to be played with congas, electric guitar, and an analog synthesizer (who would have thunk it?). Sheer joy to listen to, folks, and a delightful education in the endless possibilities of music. 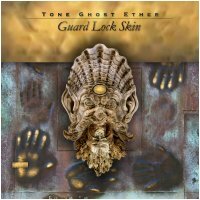 We're very happy to bring you another enchanting release from Tone Ghost Ether, and look forward to many more.